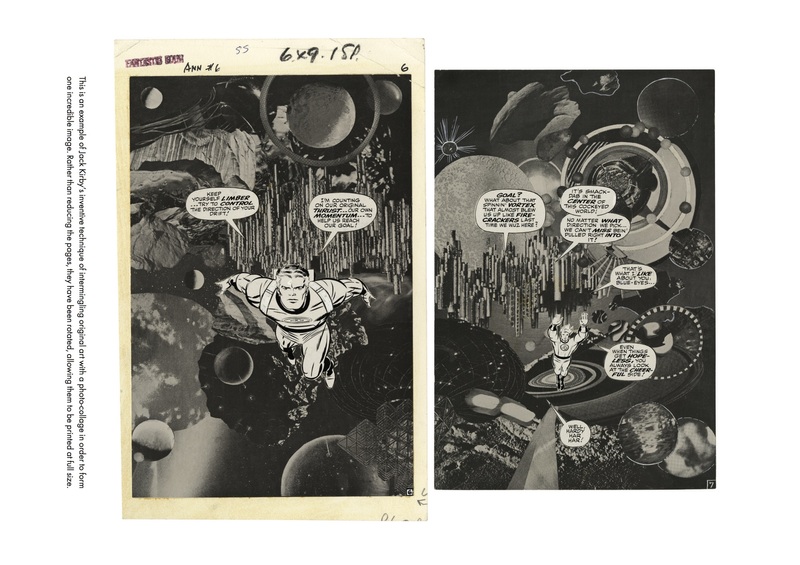 13 — count ’em, 13 — pages from one of the most anticipated comics art books in years. 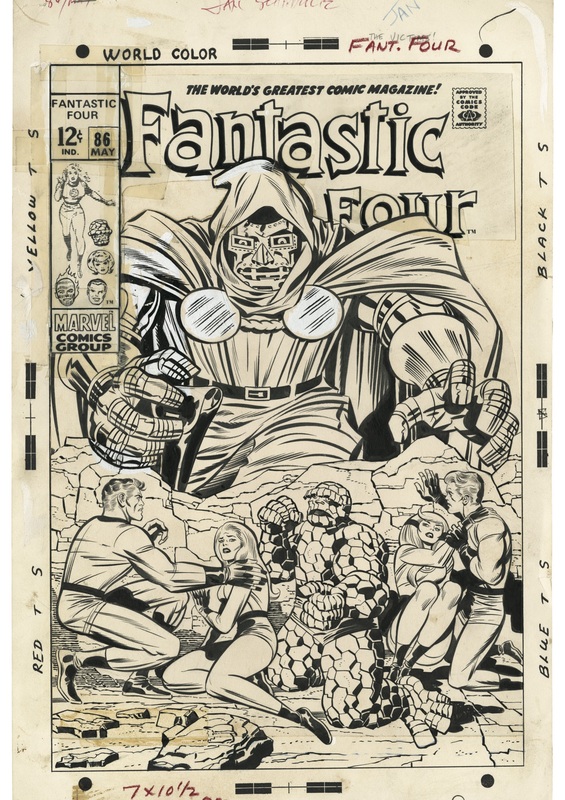 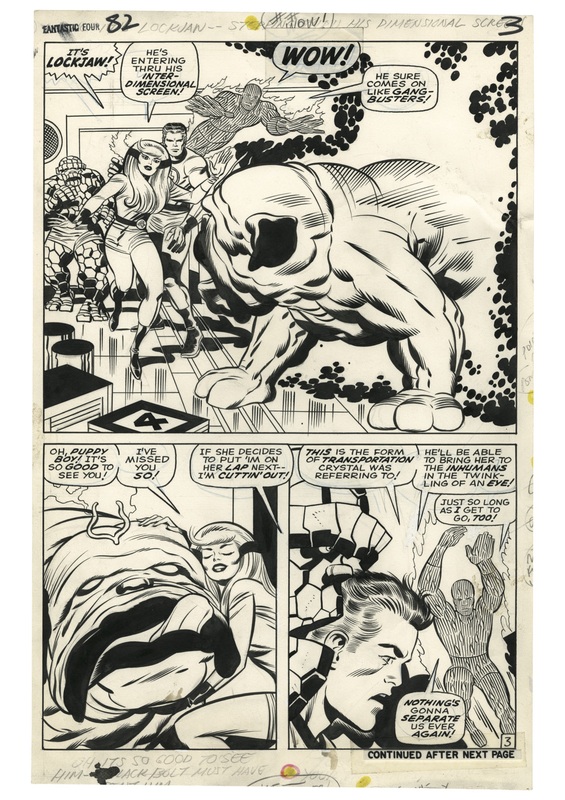 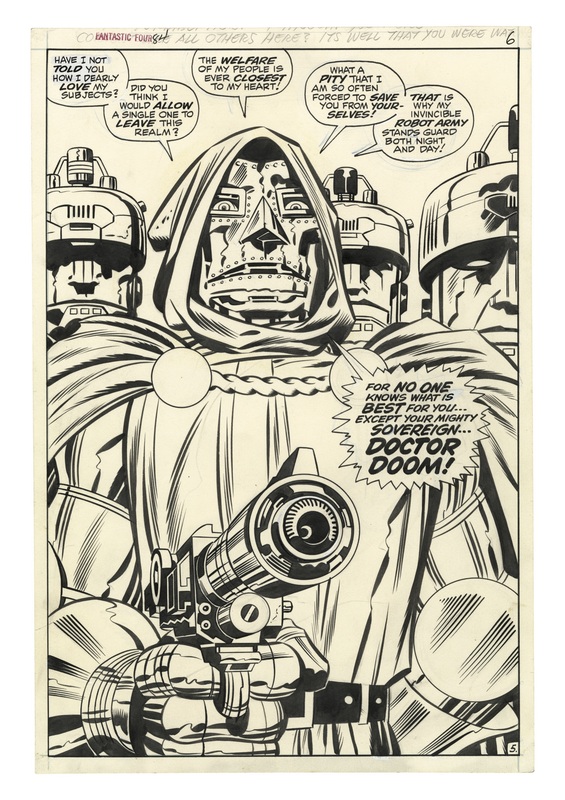 Jack Kirby’s Fantastic Four Artist’s Edition is out 1/25 with a list price of $115.99. 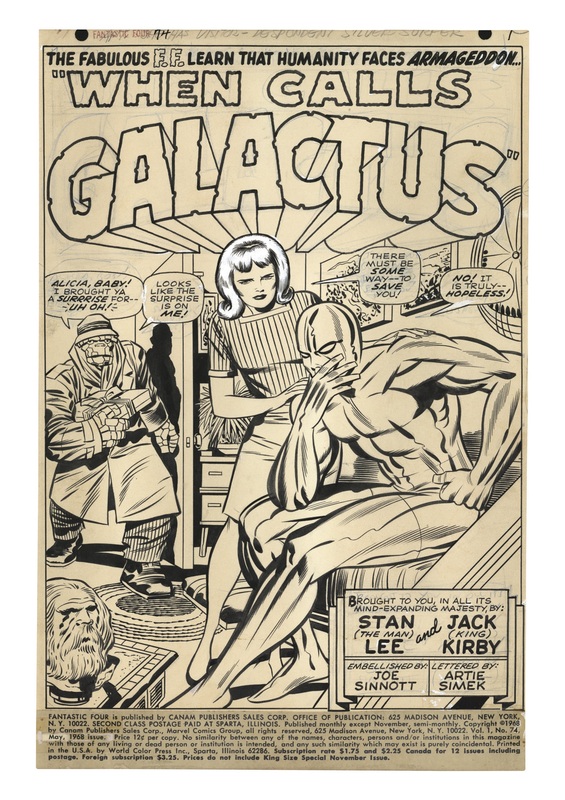 Having looked through it, it’s worth every single penny you’ve saved. 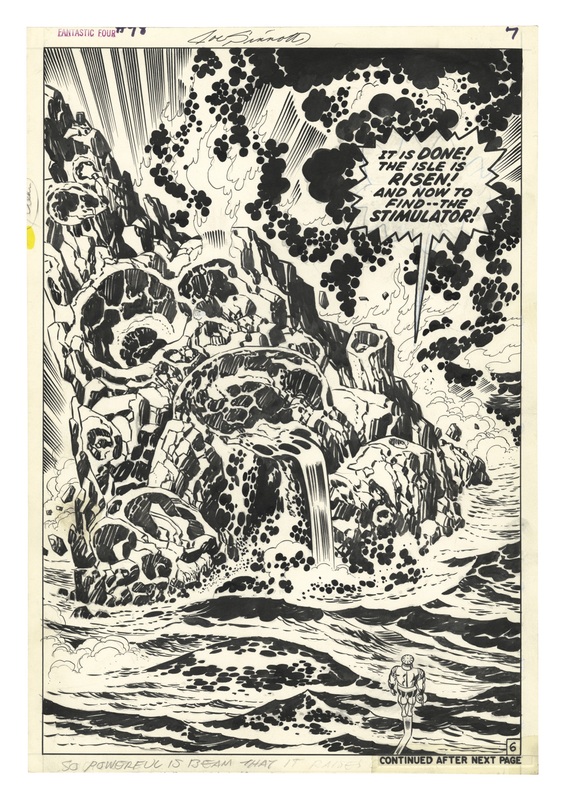 Seriously, my heart started beating faster when I went through it to pick out these 13 pages. 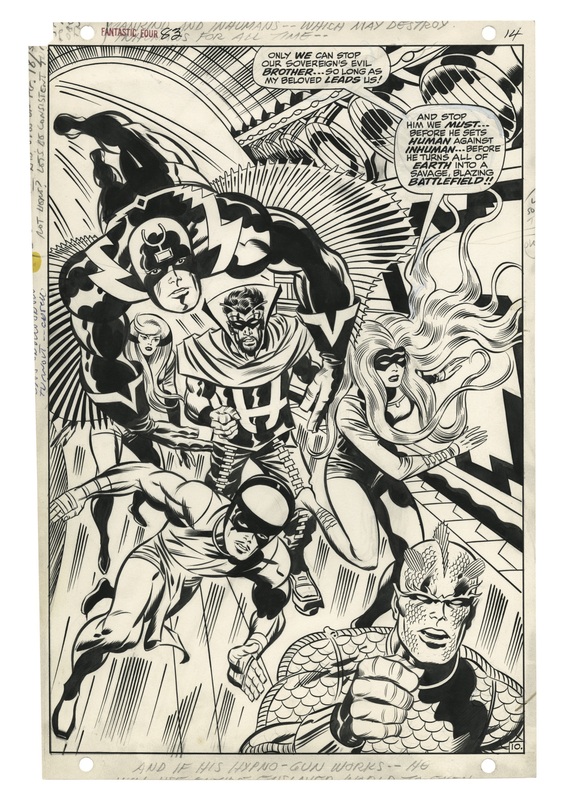 And believe me when I tell you that these 13 barely scratch the surface of what’s in this oversized edition. 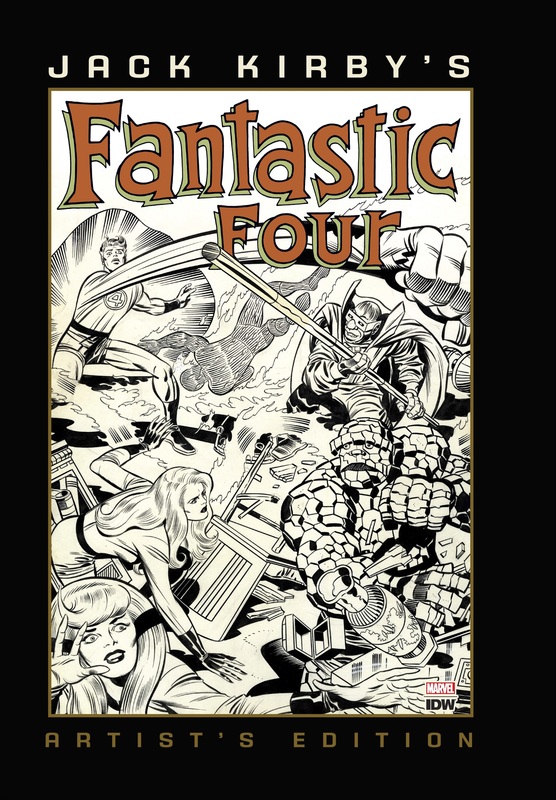 The book focuses primarily on Fantastic Four #71, #82, #83, #84 and Annual #6. 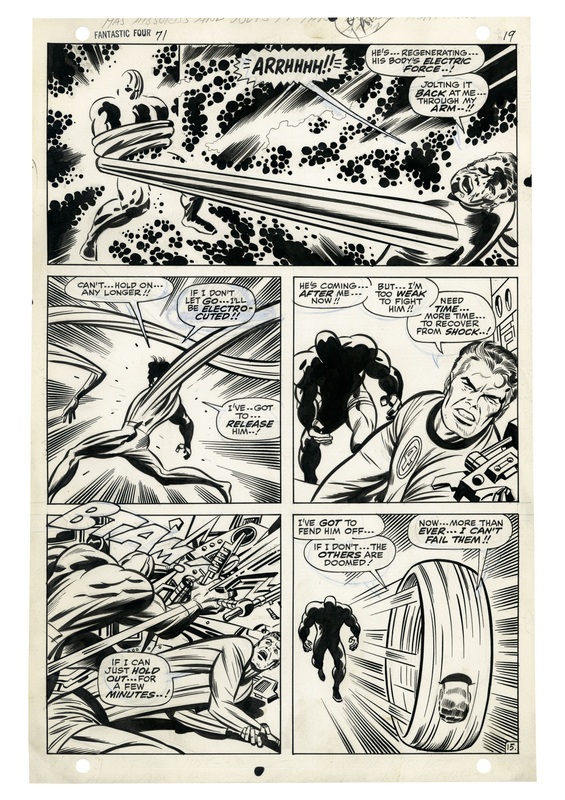 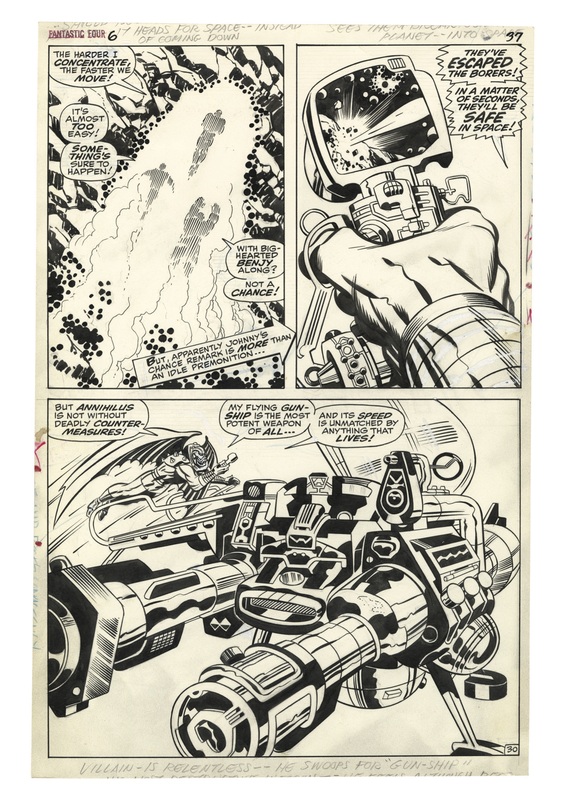 Pencils by Kirby, inks by Joe Sinnott. 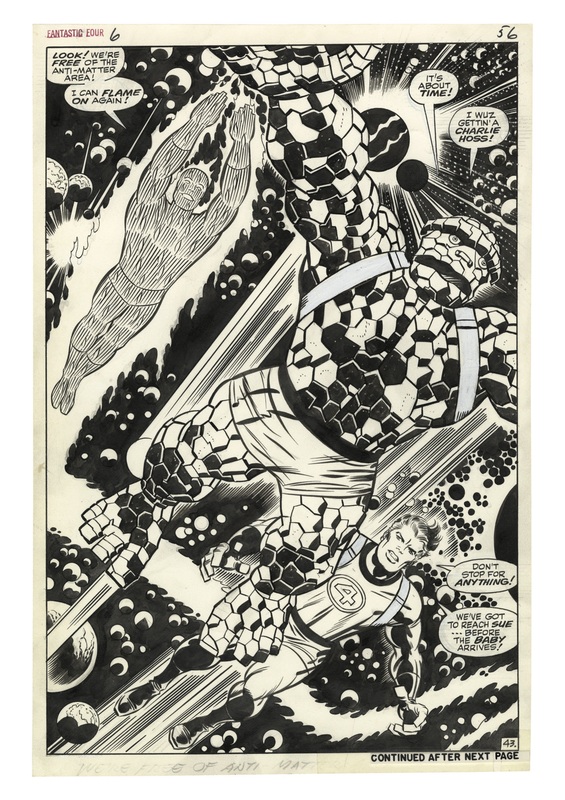 But there’s also a gallery of covers and splash pages and my lord, you have to see it all. 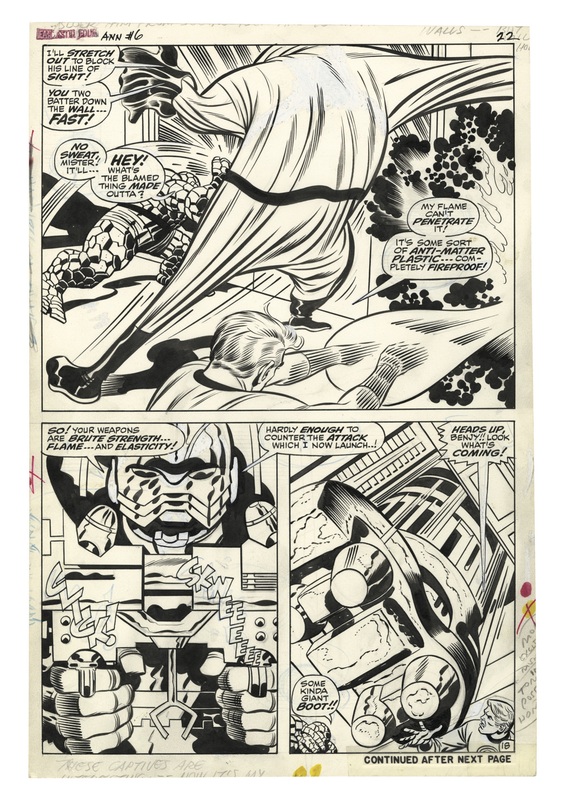 *It’s actually 14 pages but I’m counting the back-to-back spreads from FF Annual #6 as one. 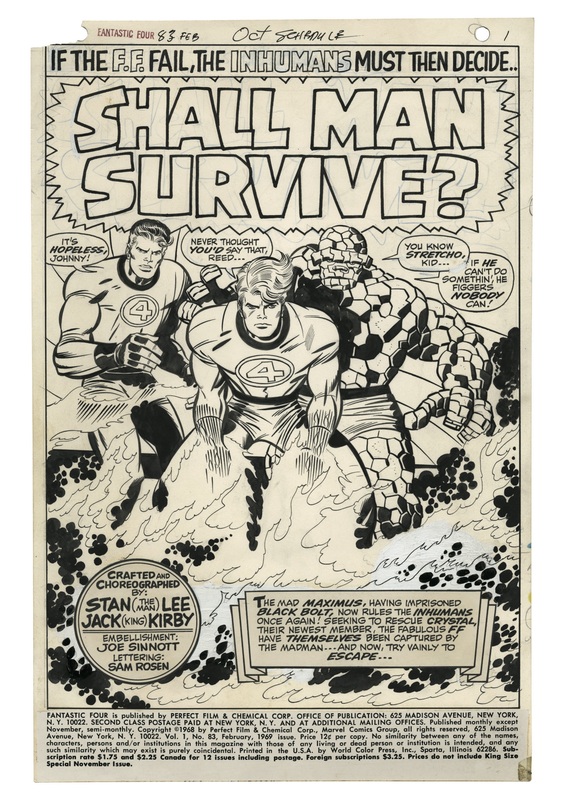 I just went to my fave comic shop in NYC (Forbidden Planet) and ordered 2 copies: one for me, and the other a gift to my older brother Steve, who was a TOTAL Kirby devotee back in the ’60s growing up (I was the DC fan)–and the FF was his fave Kirby title, and I remember how much he LOVED the ’68 FF Annual when it came out! 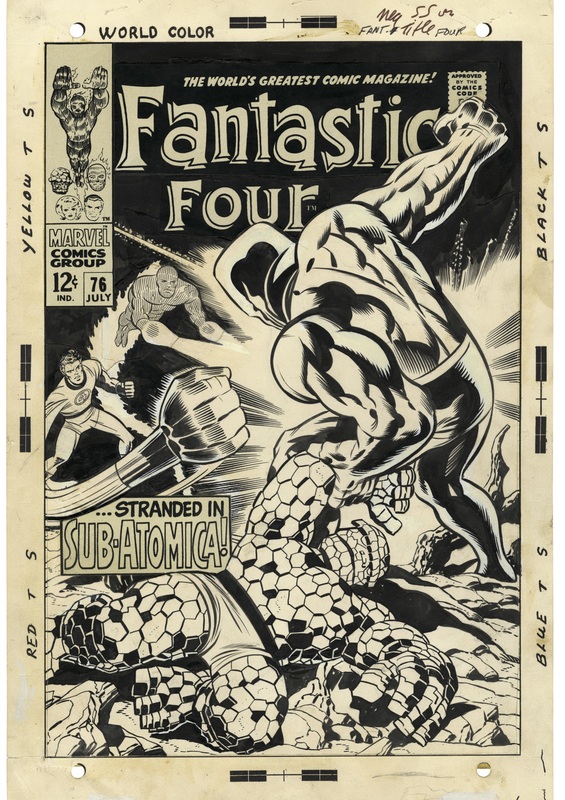 He stopped collecting comics after Kirby left Marvel (it was his Beatles breaking up), but i KNOW he’s gonna LOVE this AE version of his favorite Kirby FF work! 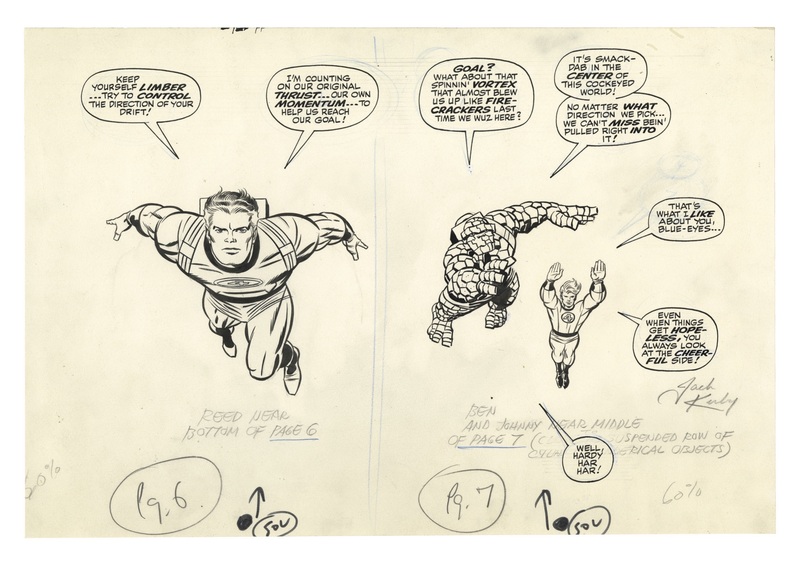 So, to Scott Dunbier & IDW, “thanks for the memories”–literally!